The Adventure Starts Here: Noah is 17 Months! Noah can now identify is belly button in addition to his ear. When I ask him where it is, he loves to pull up his shirt and show me. He's also figured out the difference between "his" ear to "my" ear! This month he also learned open doorknobs! It definitely makes things more interesting around here! His fine motor skills are improving every day. He can put rings onto the wooden dowel like a pro and he's getting better at building with the legos instead of just destroying our creations. He's also really good at throwing a ball (and sometimes his food) now! I thought it was safe to say that Noah is now completely in size 2T. Some of his 18-24 M pants seem short on him, but when I tried the 2T pants on him they were huge! 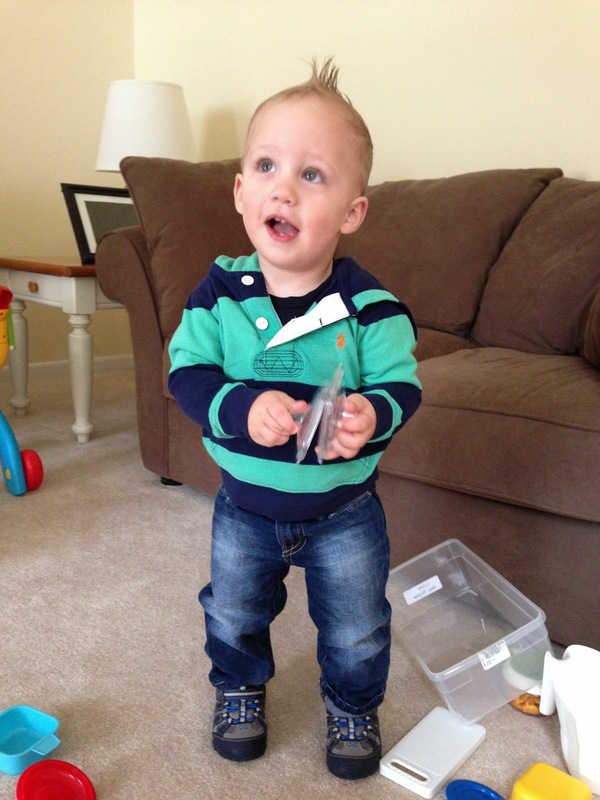 It seems like if the pants have elastic ankles he can wear size 2T, otherwise he still needs the 18-24M. I guess some cuts of pants are just better than others on him right now. I also think this will be something that changes quickly! Sometimes I think that there's no point even updating this section. Noah still has rough nights, but I think we've just gotten used to the lack of sleep. Noah is now eating adult food almost all the time. We still have a cabinet full of baby food pouches, and I try to give him a fruit/veggie pouch whenever I feel like he needs a little extra, but often he refuses. 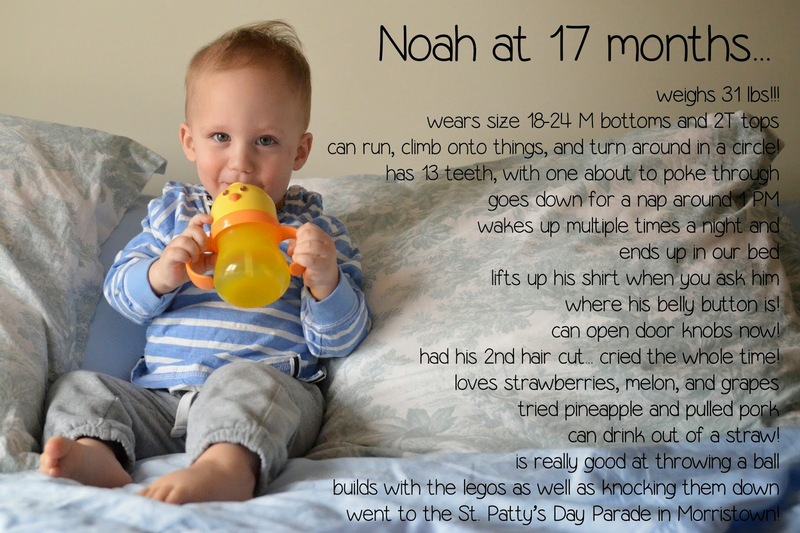 Noah usually eats fruit (melon, grapes, and strawberries are his FAVORITE) for breakfast. 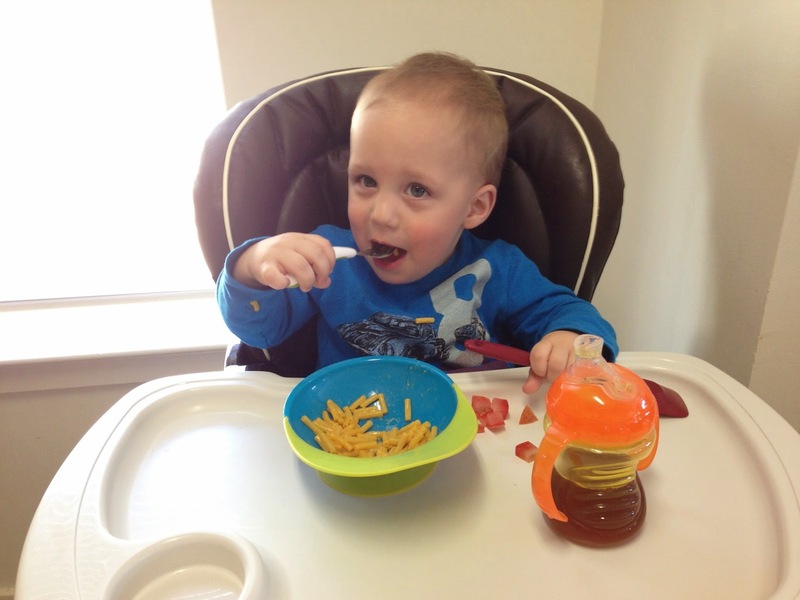 At lunch, his favorites are mac & cheese, grilled cheese, deli meat, and hard boiled eggs. For dinner, we try to give him what we eat, or I give him one of those lunch options if it's something he can't have or doesn't like. 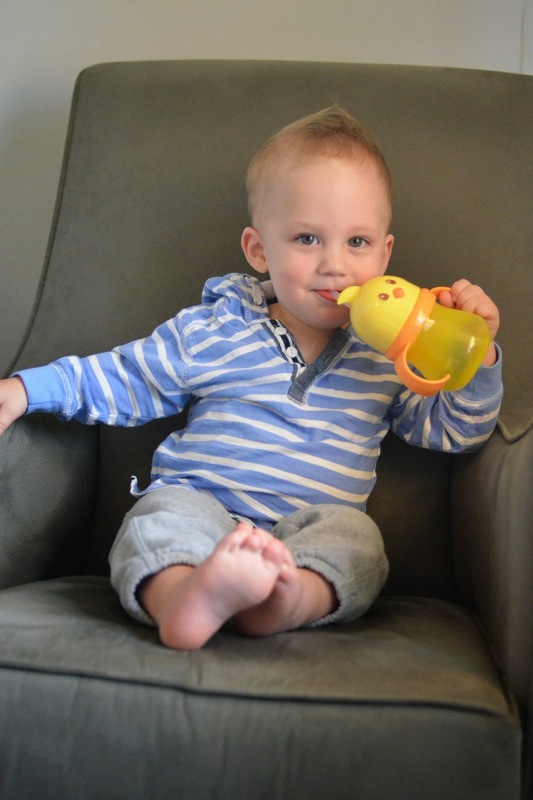 He still drinks more milk than he should and is still on the bottle, but I'm trying to choose my battles. 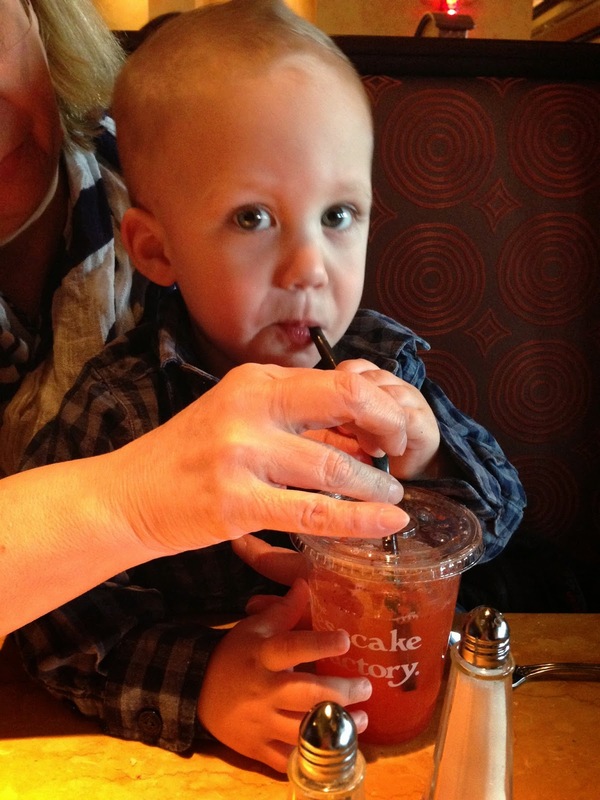 He's also really good with a straw now! Noah still has 13 teeth. But we can feel his other bottom canine about to poke through! Noah is talking a lot more! He says "hi" and "bye" and waves to everyone! He says mama, and occasionally says "ama" for my mom. He usually calls Chris mama too, but will sometimes call him "da". Most of the other things he says don't really resemble real words yet. I love seeing Noah engage in the Toddler & Me classes we have him signed up in. He loves music and he has developed so much since we started music class last fall. He also seemed to really love the gym class we tried this month. 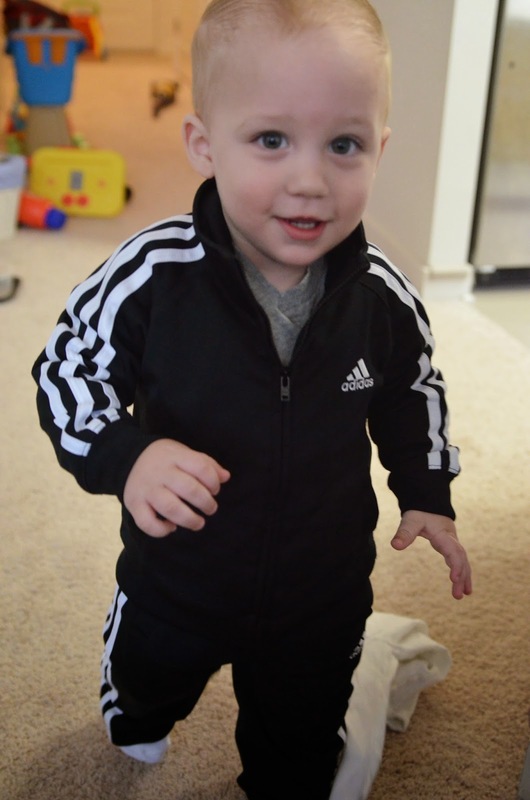 Because of timing though, I think we will hold off enrolling him until the fall. 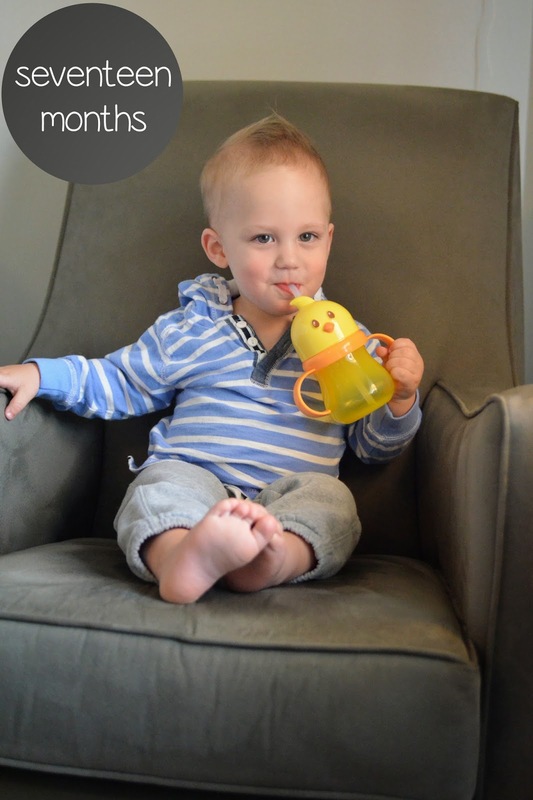 At home, Noah loves playing with his legos, his new mailbox, and his kitchen. His favorite though is our vacuum! 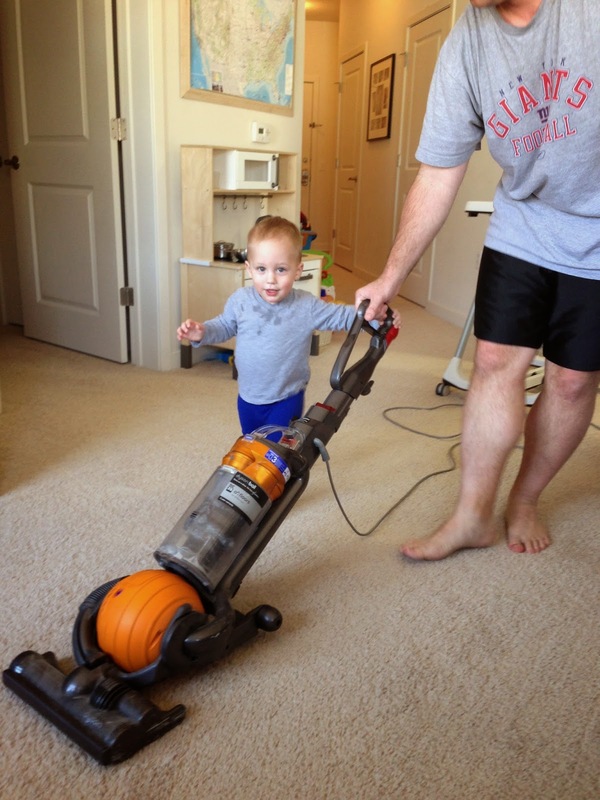 He gets so excited when we take it out, is adamant to help vacuum, and cries when we put it away. The only thing that works it telling him the vacuum needs to take a nap. But in between playing, he loves to climb up on the couch and cuddle with me. This age is so much fun! Noah doesn't like it when we don't let him do something. He loves getting into my bedroom to empty the drawers as well as playing in the bathroom. So he HATES when I take him out of the room and close the door. The same thing happens when I keep him out of the laundry room. 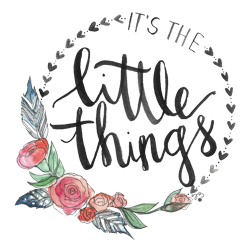 While this isn't my typical "It's the Little Things" post, I consider these monthly posts the perfect way to recap Noah each month and the little things I'm sure to forget as he gets older. So once again, I'm linking up with Jess of Sadie Sky Boutique and Ashley of Words About Waverly. Great photos! What a big boy! He looks so mature! 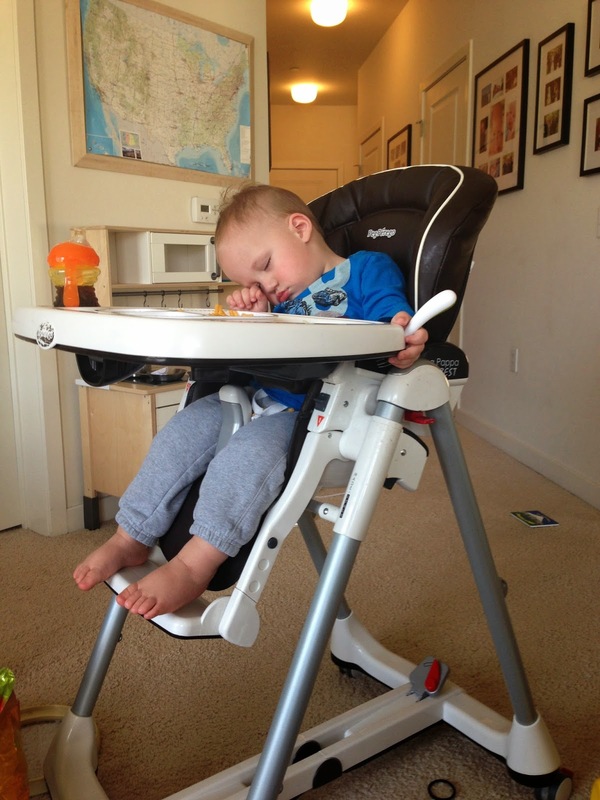 Also love the picture if him sleeping in his high chair! Liam has never fallen asleep anywhere other than bed or the car. He's such a stinker that way! He's so cute sleeping in his high chair! Awwww. He is getting so big isn't he? !